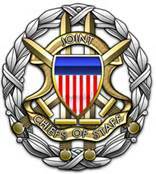 What’s the CIA and the JCOS Telling the President? Some months ago, I proposed to my congressman that he send a letter to the CIA and the Joint Chiefs of Staff. That letter would ask what they were advising President Obama about a possible collapse of the ice cap and the weather chaos that might ensue. I sent him a suggested draft to start things rolling. So far, he hasn’t taken it up. I hope he does, and the sooner the better. It might bring this otherwise very downplayed issue into public conversation. A few bits of information hint at the CIA’s and the JCOS’s concern about climate change. 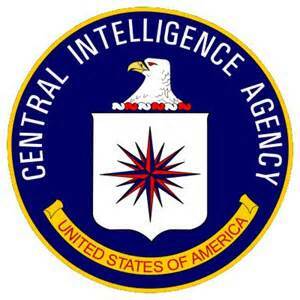 In 2009, the CIA formed the Center on Climate Change and National Security, which was shuttered two years later. A CIA spokesperson said they’re continuing the work elsewhere in the organization, but didn’t offer specifics that I could find. Last month, the CIA partnered with the National Academy of Sciences to study how geoengineering could combat climate change. And earlier this year, Admiral Samuel J. Locklear III, who’s in charge of the U.S. Navy’s Pacific operations, cited climate change as a bigger threat than China or North Korea. It’s all but inconceivable that the CIA and JCOS haven’t briefed Obama on the risk. Maybe we haven’t heard about it because they’re concerned about their credibility. That the ice cap could collapse is definitely not a mainstream idea, despite its clear possibility, and the forces of climate denial could have a field day if the issue were mishandled, perversely reducing the chances of meaningful counter-action. Or, maybe they’re worried that the situation is so dire it’ll induce social unrest. We have a right to know what the government knows about something as fundamental as climate risk. While the last thing we need is public panic, there must be some way to put this issue in front of us so we can work through what should be done. Is the CIA secretly cooking up some Hail Mary geoengineering? That would make me very nervous. First, it would validate that an abrupt climate change is possibly imminent. Second, the risk of unintended consequences is exceedingly high. I hope they’ve opened their office with NAS to help prevent any unilateral attempt at geoengineering, like the one that occurred last year off the coast of British Columbia, when Russ George seeded the ocean with iron to induce plankton growth. I’m all for research, but not without controls and public consent. There’s no way anyone, including the government, should attempt to alter the fundamental workings of the planet without the consent of the people. 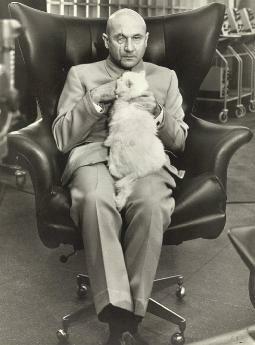 If this were a James Bond movie, and someone were plotting to do that, they’d be portrayed as Ernst Stavro Blofeld, aka Dr. Evil, Austin Powers’ nemesis. I’m sensitive to the “crackpot factor.” But that’s why we need leadership—to make conversation safe for a sci-fi idea that isn’t fiction. Here’s the draft letter to the CIA and JCOS. What do you think?